Welcome to the second installment in a 6 week series, Think Happy Thoughts! 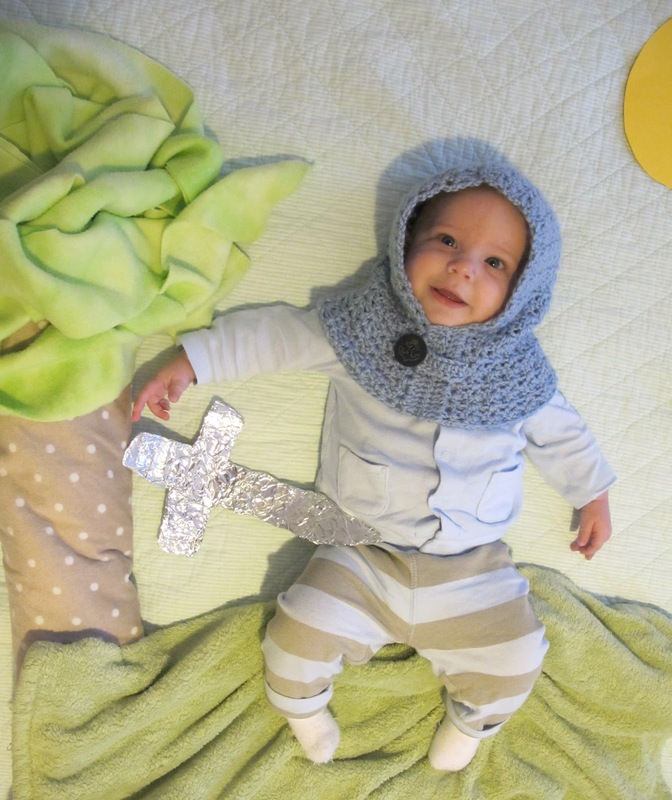 It's chain mail armor for babies! If Prince Charming doesn't sweep you off your feet, then maybe a knight in shining armor slaying the fire breathing dragon will do the trick. 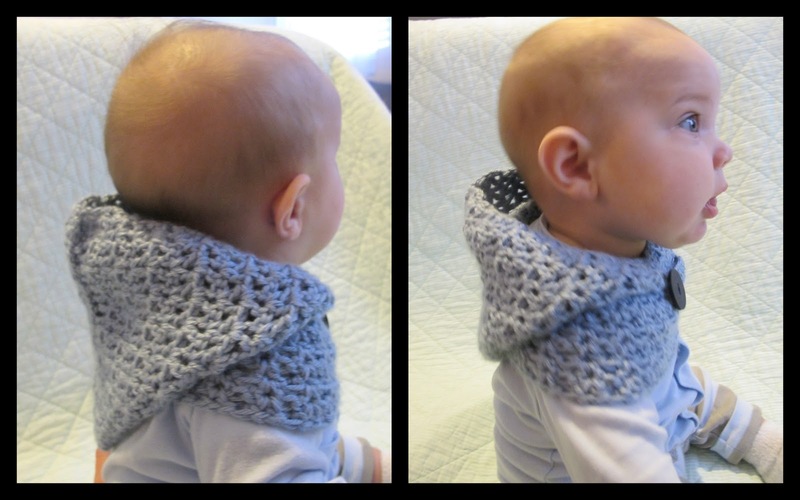 This little caplet is so cute, and I have almost convinced myself to make one of my own... perhaps a little longer around the shoulders? It is perfect for keeping those little baby heads and ears warm, though. 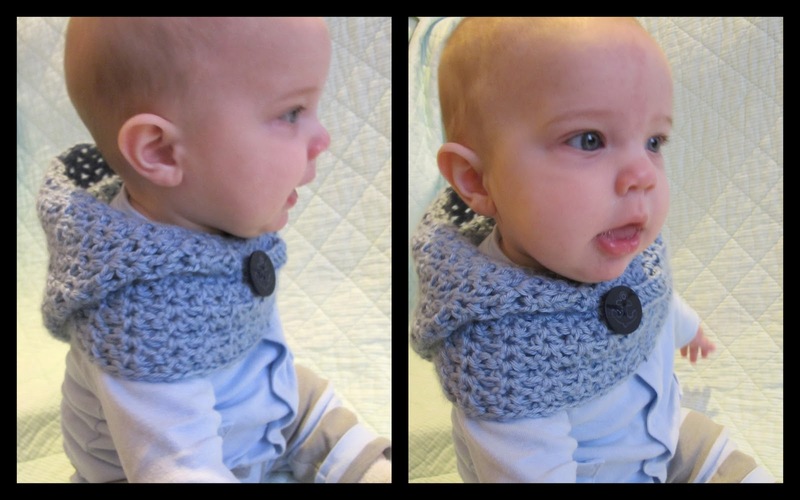 This pattern is really easy, and is very close in design to my Toddler Scarflet pattern. If you wanted to make it a little more girly, add a cute flower, a tie closure, or lengthen the section around the shoulders. There really are so many possibilities! Photographing a 5 month old can be tricky! 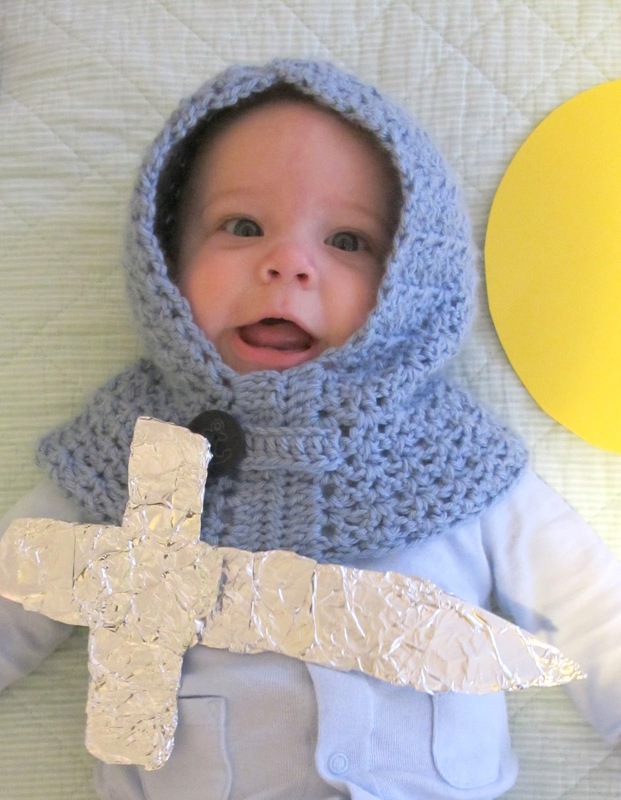 Once you have finished your Children's Hooded Caplet, come upload your pictures into my Think Happy Thoughts flikr group! So cute!! Love it!! Thanks for linking up! Loooooove it! Featuring it this week on Topsy Turvy Tuesdays!